Jacksonville’s County Market General Manager Justin McMurphy attended the SuperValue National Food Show in Minneapolis recently. The show was held August 11-13. 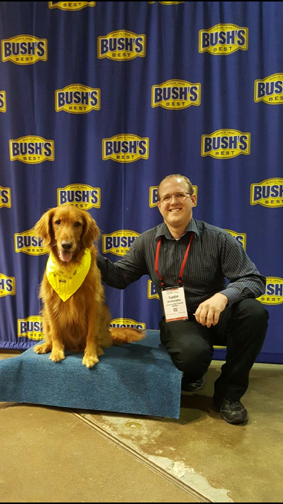 McMurphy posed for a shot with the renowned Bush’s Beans official spokesdog, Duke. It was some “beautiful bean footage.” McMurphy said that there were all kinds of different mascots going around, from gummy bears to Oreos.